Founded in 1984, Science Olympiad is one of the premier science competitions in the nation, providing rigorous, standards-based challenges to 8,000 teams in all 50 states. 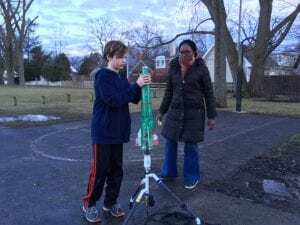 By offering multiple ways to be involved, the D39 Science Olympiad program sets itself apart from traditional programs. 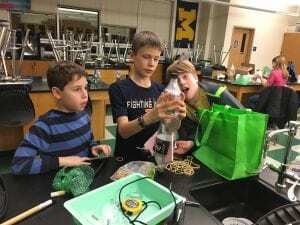 Those students who are looking for a fun, non-competitive way to explore Science Olympiad topics can enroll in one of our many enrichment courses. Students who are looking for a competitive experience can join the competition team. Either way, our program engages a wider audience of students, exposing them to STEM disciplines, careers and practicing scientists. The D39 Educational Foundation has put together an offering of science enrichment courses as an alternative to the more traditional, more rigorous competitive program found in most school districts. While based on the National Science Olympiad’s events, the Non-Competitive Olympiad program is designed for students seeking a low-key and fun science enrichment experience. 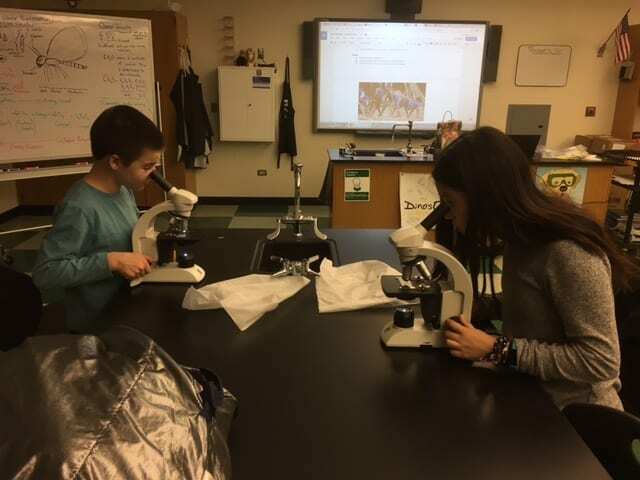 We offer a wide range of programs from all STEM disciplines, each taught by an expert volunteer from our community or a member of the D39 faculty. Starting in 2016, Wilmette Public School D39 took over the competitive portion of Science Olympiad. For more information about the competition teams, please visit the HMS and WJHS School websites. 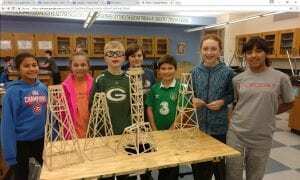 Science Olympiad information can be found under the Students tab. Registration begins October 24, 2018 at 9am. The fee for each course will be $100. No refunds will be given after November 14, 2018. Regular courses run from December 5, 2018 – February 7, 2019. (No classes over Winter Break). Courses are open to all interested 5th-8th grade D39 students. Courses cover a range of topics from all STEM disciplines, such as Life Sciences, Earth and Space, Physics and Chemistry and Technology and Engineering. All courses will be held at Wilmette Junior High School on Wednesday and Thursday nights. For more information about the National Science Olympiad program, visit the national website. If you would like to lead or co-lead a course, please click here. To inquire about financial assistance for the Science Olympiad program, please email the D39 Foundation at olympiadregistration@d39foundation.org. To receive more information about the D39 Foundation’s Science Olympiad program, including details about course offerings and registration information as it becomes available, please JOIN OUR MAILING LIST.